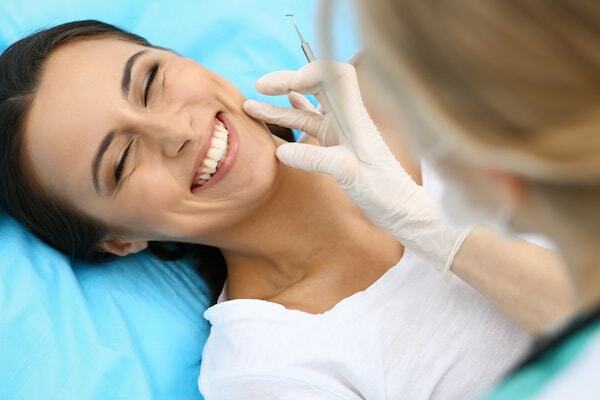 The results achieved by cosmetic dentistry have greatly advanced over the last few years. 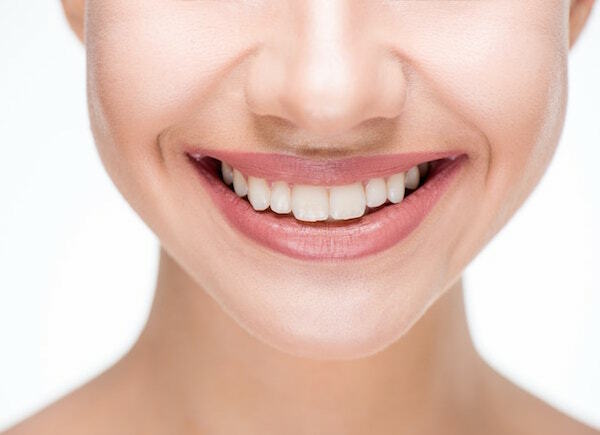 Cosmetic dentists can provide long-lasting results that are natural in appearance while also improving the aesthetic and/or functional aspects of the mouth. Get rid of old restorations – While many patients don’t worry about their restorations if they still seem to be healthy, almost all dental restorations should be replaced at some point after being placed in the mouth. The longer a patient waits to replace a dental restoration, the greater the chance that the dentist might discover issues such as chips or cracks that need to be addressed before further damage happens to the dental restoration. Porcelain Veneers – Veneers are custom-made tooth colored materials that cover the front of the teeth. They are placed to change the shape, color and size of the teeth. They can be placed using the direct method where the dentist directly applies them and then sculpts the veneer to the front surface of the tooth. Another way to place veneers is the indirect method and this is when the dentist takes an impression of the tooth and sends it to a lab to be manufactured. A temporary veneer is placed until the permanent one is bonded to the teeth. In addition, the dentist will need to remove some of the tooth structure to make room for the veneers. The amount of tooth structure removed depends on the goals of the treatment. Botox – Injections of Botox into the muscle that lifts the upper lip can help minimize the look of gum tissue on a temporary basis. The injection into that muscle weakens it and restricts the ability of the upper lip to show too much of the gums when a person smiles. 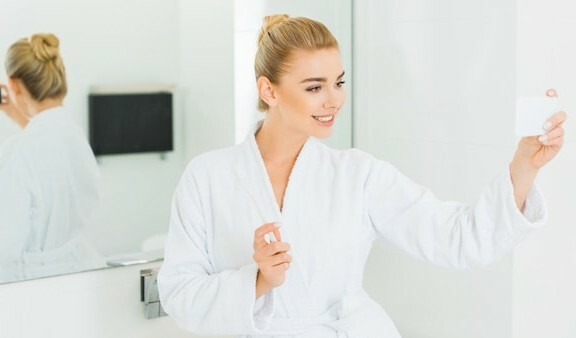 Charcoal Toothpaste – While brushing the teeth with a black paste might seem to defeat the purpose of whitening the teeth, the use of activated charcoal is actually a natural way to lighten the teeth by about one shade. 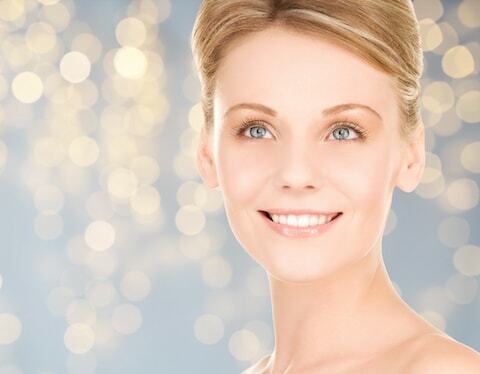 Gingivoplasty – One of the most popular methods to treat a gummy smile is gingivoplasty. This treatment is a surgical procedure that reshapes the gum line and removes excess gingival tissue. The surgery is performed using a laser or scalpel to reduce the amount of the gums that are showing while a person is smiling. Enameloplasty – If patients have teeth that are irregularly shaped or slightly rotated, a small amount of enamel can be removed in order to shorten or reshape a tooth. Toothpic – Cosmetic dentistry took a step forward with this app that allows patients to ask questions and receive advice and recommended steps without having to visit the office of their dentist. The patient snaps a set of photos showing the issue with the mouth. A fully-licensed United States dentist will review the photos and respond back to the patient within a day. If the issue requires a visit to the dentist, patients can find dentists in the area of the country where they reside using the app. Byte – Byte is an at-home teeth straightening treatment that creates custom invisible aligners using a process called Smile Science. This process takes the facial features of the individual patient into account as dental impressions are made at the home of the patient. A team of dental experts review the impressions and then determine the best way to move the teeth to achieve the desired results. Mobile White – This is a teeth whitening system that plugs into the smartphone of a person. The system uses an LED light tray, along with a USB cord and timer button, so patients can take the time to whiten their teeth no matter where they are at any time of the day. Before making the final decision to undergo any type of cosmetic dentistry procedure, patients should consult with a board-certified cosmetic dentist that specializes in providing natural looking results for patients. The dentist will examine the mouth of the patient in order to determine the amount of work that needs to be performed as well as the best method to use in order to achieve the appearance of the mouth desired by the patient.